During an extremely vivid lucid dream experience I had, I found myself hovering over my neighbour hood. In front of me appeared a being with red skin wearing a red cloak with black markings on his face. He smiled at me in a way that almost said “I got you now”, and then a third eye appeared on his forehead. He opened it at me, and when it opened it I got sucked into it and experienced a moment of disorientation followed by a few seconds of complete darkness. When I opened my eyes, I found myself hovering over top of my body 3 feet in the air in my bedroom and was terrified. I frantically tried to wake myself up into waking life and began to panic. This was my first out-of-body experience, and it happened as a result of being unprotected and messed with by an entity who took pleasure in taking advantage of my ignorance. 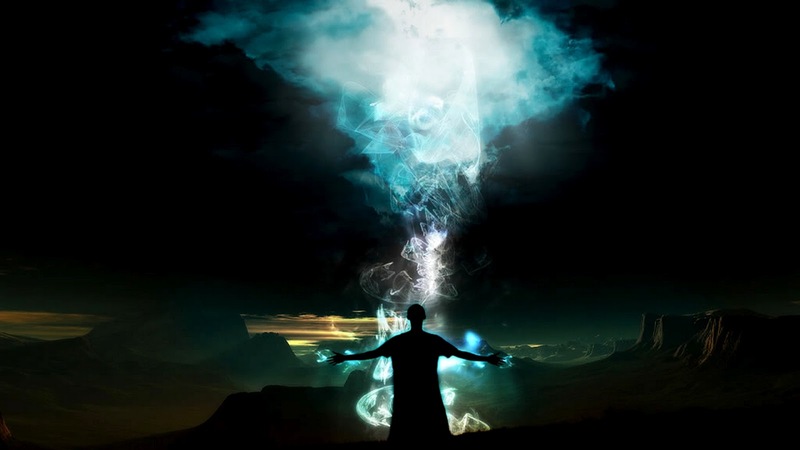 If you are in the astral plane and don’t know how to navigate it or protect yourself, you can wind up in the hands of a negative astral entity who wants nothing more than to mess with your mind and scar you psychologically. In the New Age community, we are taught self-empowerment and sometimes resist the idea of praying because we don’t want to surrender ourselves. We feel it makes us powerless or helpless. But the truth is, you have angels, guides, and a Creator that are on the other side of the physical plane and are eager to lending a hand of comfort to you. If you feel it is within your integrity, pray to Jesus in particular. Many non-Christian spiritualists are beginning to realize the undeniable authority that Christ has over negative spirits. The astral plane is not the only spiritual plane. There are many other higher glory realms populated by beings of light that want nothing more to reach out to you. Even Jesus, the King of the glory realms, is willing to help you defend yourself against dark spirits, but no positive entity may impose themselves on you against your will. Their goodness and fairness prevents them from violating your free will. When you pray, surrender, and reach out from your own free will, you will always be heard and protected. An uncontrolled mind can breed paranoia and fear which literally magnetizes negative astral entities to you. Whatever repetitive thoughts of fear you have playing through your mind will manifest in one form or another during an experience in the astral planes or out of body. It will either manifest in the form of a shadow self, a negative astral entity, or a landscape. Remember that spirits of darkness feed off of the energy of fear. Practice meditation in your waking life to learn how to develop a new relationship to your mind and experience yourself as something beyond your thought stream. Learn how to ground yourself in the present moment and silence your mind. Your understanding of your mind in waking life will translate into your experience of other dimensions. You can then choose not to give in to thoughts of fear and paranoia, and you will no longer be an energetic magnet to beings that feed off of your fear. Have a sense of humour about your experience. Be lighthearted and don’t take things too seriously. You’re only dreaming. Cultivate love within yourself by understanding your experience is all part of a dance of energy. Close your eyes and think back to a time you experienced love. Stay there. In your mind, create a protective shield of white loving light around yourself. Worship God. Sing worship songs. Think of having a high vibration as a form of preventative medicine against negative astral entities. It’s much harder to protect yourself against something when it is already in your presence. It’s kind of like trying to fight off a cold when you already have a sinus infection versus fighting it off with proper sleep and diet prior to it reaching that point in the first place. Remember that no demon or negative astral entity can torment you if you are protecting yourself. If you are cultivating love within yourself, praying for protecting from your heart, and create energetic shifts within yourself to raise your vibration, you are going to be vibrationally incompatible with negative entities who want to scare you and manipulate you.